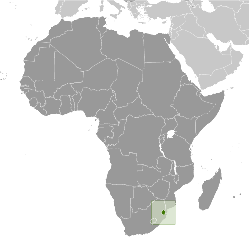 Swaziland is the last monarchy in sub-saharan Africa and considered to be “The Royal Kingdom”. It is surrounded by South African provinces and the country of Mozambique on the east side. Swaziland is the smallest country in the southern hemisphere, but has no shortage of cultural attractions and natural sites. The close proximity of the towns in Swaziland makes the Kingdom of Swaziland the perfect travel destination. Its picturesque hills and ever-flowing rivers are just some of the natural wonders to be seen. The forests, game parks and nature reserves are in abundance because this country has so much nature and wildlife to offer. The Swazi culture is very unique and the inhabitants are therefore very proud of their traditions.